Prepare for unmatched luxury of the Oxygenics Rain Storm and its wide 200mm face. A powerful, pressurized monsoon of water will envelope you and sweep you away to a wondrous place. Youíll discover the power of oxygenated water in the most invigorating way, while saving up to 70% water usage and gaining a stronger flow of water compared to industry leading brands. Supreme Superiority: With 54 powerful spray nozzles the Storm provides a shower of unbelievable pleasure at an unrivalled price. 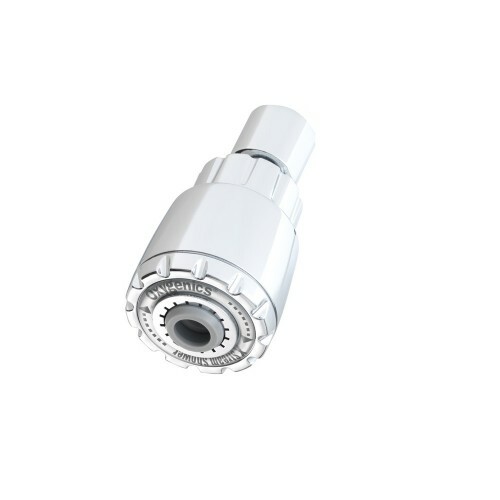 All Oxygenics Showerheads are designed primarily for water saving. This Oxygenics Showers is not designed to operate on low pressure systems or below 1.5 Bar of pressure. This showerhead attaches to a fixed shower arm (not a shower hose).